At the October 2018 Open Meeting, members passed a resolution to reduce waste at meetings, by recycling whenever practical. 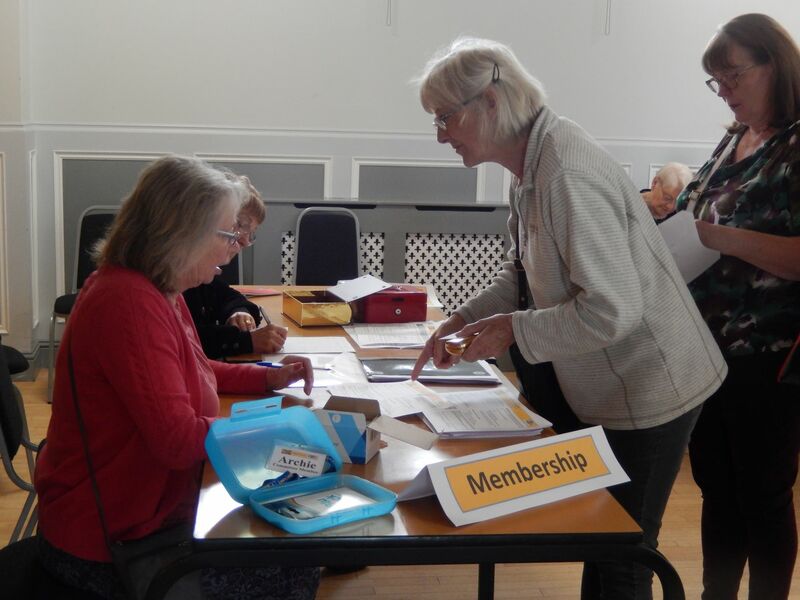 If you are retired or semi-retired, Falkirk & District U3A offers you opportunities to make new friends, discover new interests and learn at leisure. If you live in the Falkirk area, including Grangemouth, Denny, Larbert and Bo'ness, you are welcome. The U3A is not a university in the traditional sense of the word; no qualifications are sought or offered, learning is for its own sake. Enjoyment and not an award is the prime motivation. We see no distinction between learners who teach and teachers who learn. U3A Falkirk & District is about setting up local interest groups so that people can join with others to share similar interests. Interest Groups covering a wide range of topics are created by members for members. However more will be developed in response to members' interests. For further information see the Groups page. We are an autonomous and independent organisation, self funded through membership subscription. 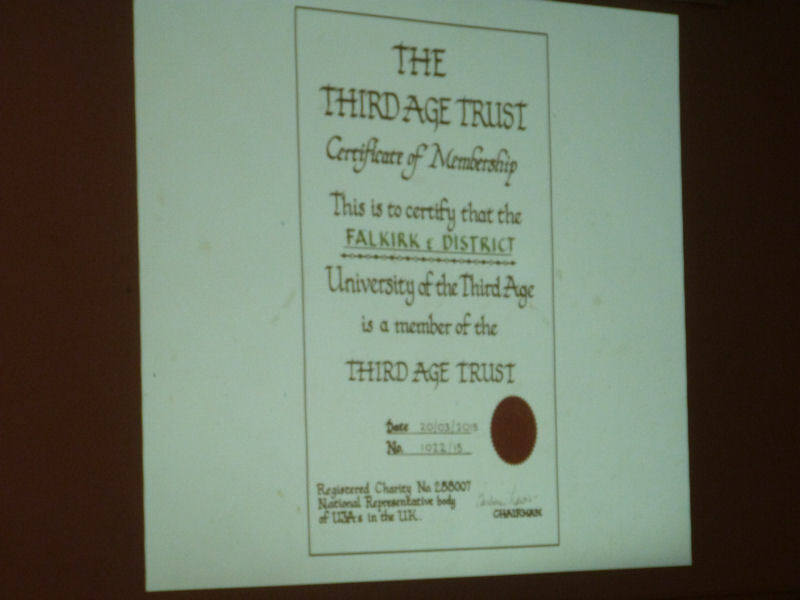 Falkirk & District U3A is affiliated to the Third Age Trust, which provides a national structure whereby U3As can co-operate, share resources and gain support. The annual membership fee is £20.00 The membership fee includes, amongst other things, insurance cover for the use of members' homes for meetings. The membership year runs from 1 September to 31 August. Renewals therefore become due at the Registration Meeting in September. If you join after March, a half year membership fee of £10.00 runs until 31 August of the same year, when the full subscription of £20.00 becomes due for the next year. We are open and friendly, and welcome you to our meetings and interest groups. They are intended for members but if you want to first find out how U3A works, what it does and whether it suits you, then please give us a try. After two meetings, however, we would expect you to become a member. An application form for membership is available on the Links page.